Dan Kerry is on a mission to teach people how to liberate themselves from food-related disability and disease by eliminating animal protein from their plates and replacing it with whole foods such as fresh fruits, vegetables, whole grains and legumes. It has become clear over decades of scientific research that many diseases are life-style related and can be improved and even reversed by simple changes in one’s diet. Simple changes in the way you eat can literally save your life! Dan is a recent graduate of Food For Life, a teaching program designed to promote a healthy plant-based lifestyle. Food For Life is the brainchild of Dr. Neal Barnard, President of Physicians Committee For Responsible Medicine based in Washington, DC. Accepting only a handful of applicants each year, the program is designed to teach people suffering with Heart Disease, Cancer, Diabetes, Obesity and other food related diseases how to improve or even reverse health outcomes by simple changes in their diets. Dan has jumped into this activity with both feet. He is currently teaching a 21-day quick-start weight loss classes in his community in Manhattan, NYC. Using the curriculum of Physician’s Committee For Responsible Medicine (PCRM) for the series which targets the lifestyle of western civilization, Dan seeks to demonstrate how these classes can enable students to take control of their health by making better food decisions. The classes are a combination of cooking classes of easy, tasty meals that compose a plant-based diet. It is accompanied by a video of the founder of PCRM, Dr. Neal Barnard, who explains the nutrition and science behind a plant-based lifestyle. Each class is designed to focus on a particular food and each series is designed to focus on a particular issue whether it be diabetes, cancer, weight-loss, etc. Each class is designed to show how clients can make the most of that information. For the last five years, Dan has worked as a life coach, helping people to live happier and healthier lives. Something felt missing to him and he began to look into expanding his practice. Serendipitously, his younger brother introduced him to the film, Earthlings, which is more about the ethical side of a plant-based diet. The film had a profound effect on Dan. “It changed my heart,” he said simply. “It changed my heart.” He could no longer participate in the cruelty connected with consuming animals. He didn’t know how to go about it, but he knew it was something he had to do. Then Dan discovered that he just felt better and he wanted to continue to feel better. This led him to look at the nutritional aspects of being a vegan. He took Cornell’s e-program on plant-based nutrition, started following Michael Greger’s NutritionFacts.org, and was eventually introduced to PCRM through an email communication with Dr. Greger. Dan and his wife, Angie, are looking for their first child in March. They are excited to raise a vegan child, giving him or her a healthy foundation on which to build its life. You can learn more about Dan Kerry’s plant-based Food For Life classes at his website: theplantstrongproject.com. Co-founder and editor of Veggin’ Out and About, Danielle writes restaurant reviews, profiles and interviews of people making a difference in the plant-based community. 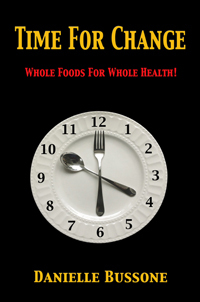 She is author of, “Time For Change: Whole Foods For Whole Health,” released January 1, 2015. Danielle’s region is SW Virginia, Tennessee and North Carolina and anywhere she happens to stop for sustenance along the road. Contact Danielle directly to share your restaurant finds, to make comments or just to say hello. 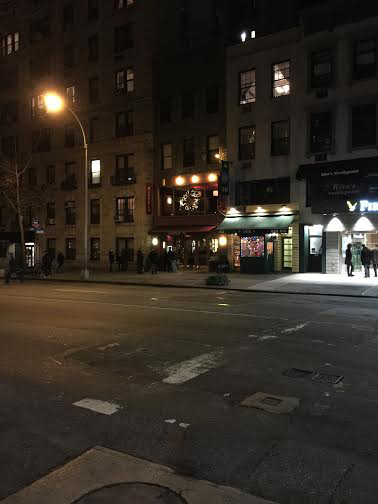 Ukrainian East Village is situated off 2nd Avenue in New York City, down a starched white hallway and around a corner to the left. On the right is a sign leading to the bathrooms down a set of stairs where the air sits cool, anticipating. 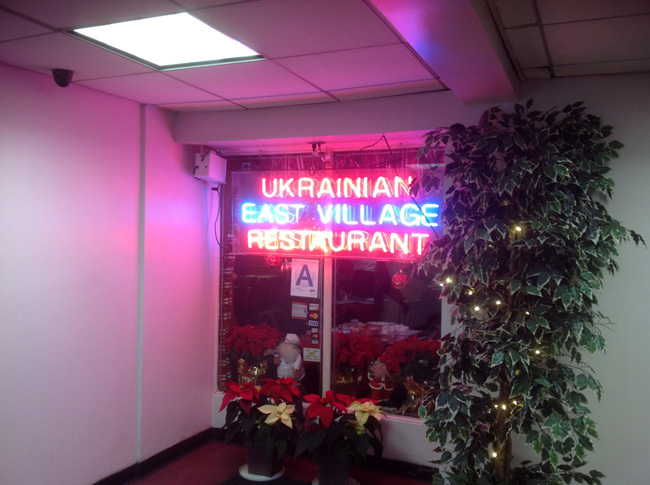 The double doors to the restaurant are wood, which open into a room that, true to its name, is similar to a small village where diners can enjoy food as close to the Ukrainian original as possible. We waited for a moment before being escorted to a table where we were handed menus full of options: pierogis, kasha varnishkes, blintzes, and nalysnykys. 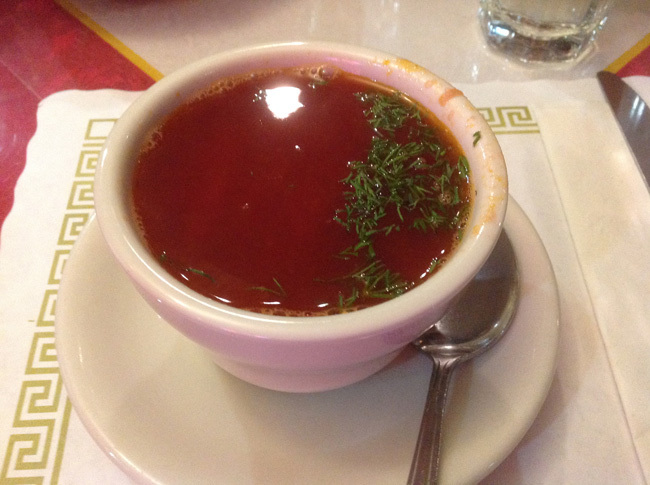 We referred to wikipedia more than once to determine the ingredients of the Ukrainian staples. 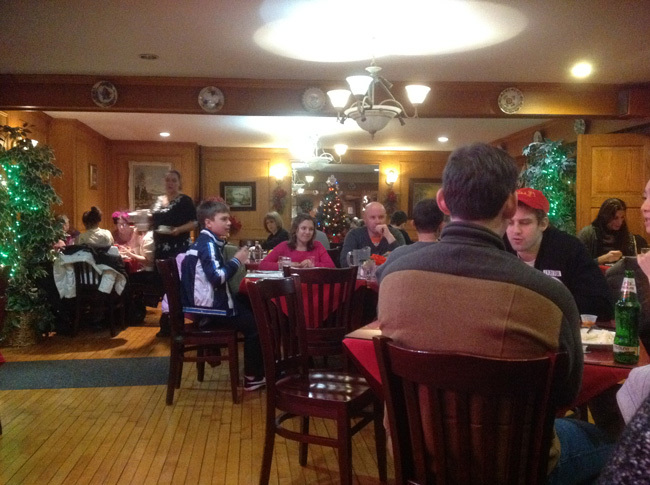 Though this restaurant did not have any listed vegan meals, there were a couple vegetarian options that the chef, on Christmas Day when the restaurant was slam-packed full of festivity-seekers, was more than happy to tailor to suit our vegan requirements.